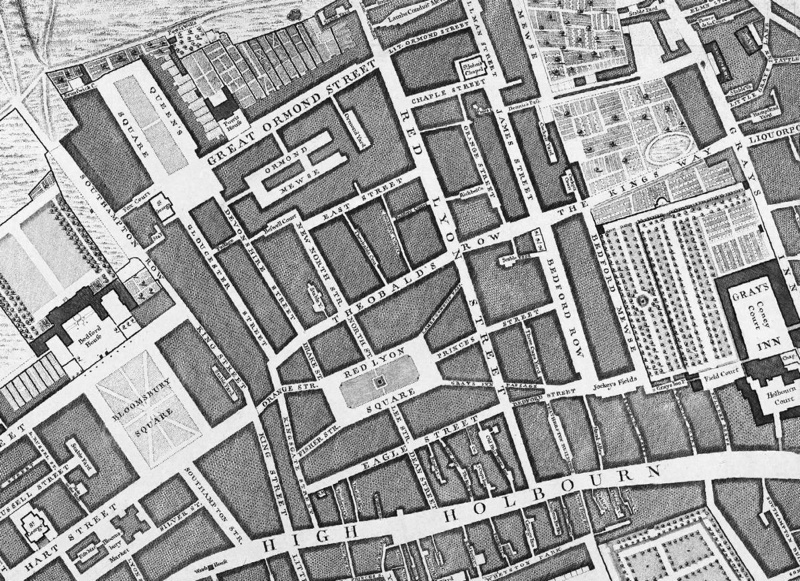 After featuring many very modern maps on Mapping London thus far, it was a pleasure to hear about the Grand Map of London, produced by a small bespoke mapping company called Wellingtons Travel. 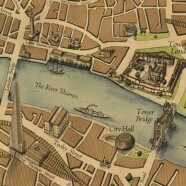 Their idea was to produce an up-to-date map of London, featuring the latest City skyscrapers and other modern landmarks, as well as the more traditional “Ye Olde” buildings in the capital. In essence, it is a new map but with a distinctly antiquated look to it. Notable buildings are drawn in an isometric 3D style (kind of like a pretty version of the Google maps 3D building outlines) while other built-up blocks appear as hand-drawn shaded areas. 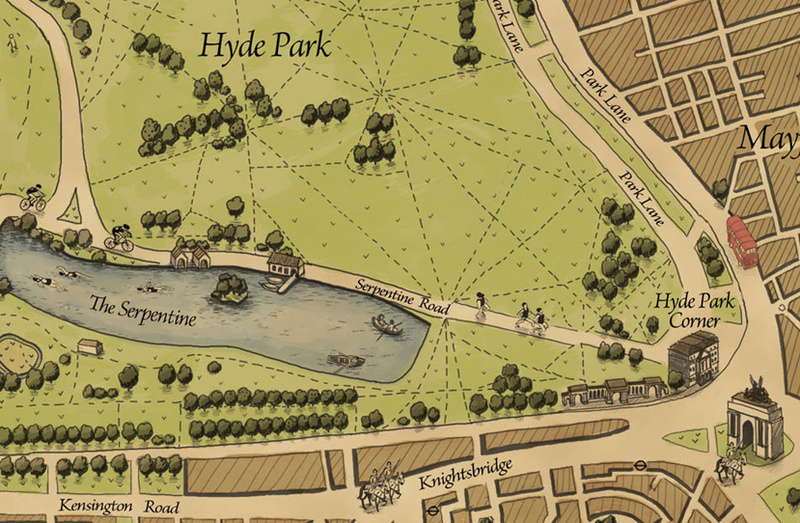 Rivers and parks have similar, watercolour-style detail added to them. The Shard (which isn’t even fully built yet) appears, beside a free-floating and “steaming” HMS Belfast. 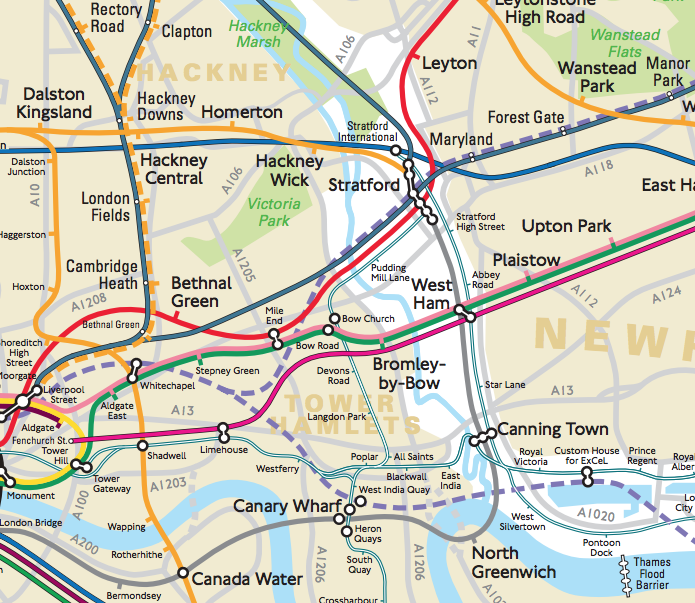 The overall pastel brown, green and blue shades of the map are pleasing to the eye. Could that be ex-Mayor Boris on his bike near City Hall? 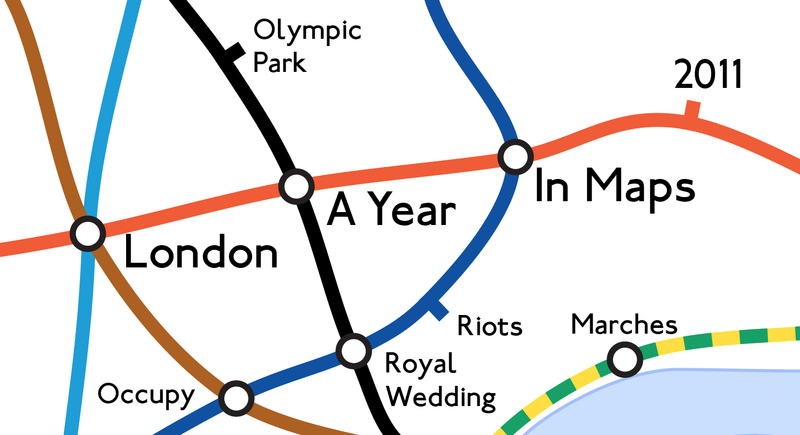 The Grand Map of London (2012 edition) is a product of three years of careful work by neo-traditional mapmakers Anna Butler and Taige Zhang and covers approximately the Zone 1 area of central London. It available as a hard copy, printed on cotton canvas and presented as a scroll, in Blackwells bookshops and Stanfords, in London, as well as on the Wellingtons Travel website. There is also a free iPhone app available. Extracts reproduced with kind permission from Wellingtons Travel. Hmm, I like that idea! Textures would be tricky but the colours would look good I think. Would the routing app have a option for “horse drawn”?